When you are searching for a word or phrase in a single PDF document, Adobe Acrobat or your browser PDF viewer will usually do the job. But when you start needing to search across multiple PDF documents–a situation common for legal cases–you need specialized software like GoldFynch. There is a lot of control GoldFynch gives you to run effective and efficient PDF searches and a number of possible ways to frame your search queries. 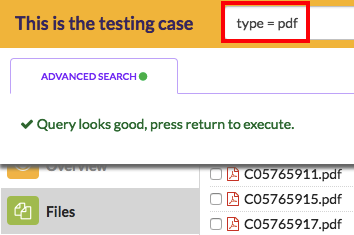 A search can be broad or narrow; to find text in a single PDF, find text in multiple PDFs, or find specific PDF files within your case structure. Follow these steps to learn to use GoldFynch’s search features, as well as how to review your results, and access the editing and the save-search functions. The search can be run from either the Search bar located a the top of your screen, or the ‘Advanced Search’ view. The Search bar provides you an extremely fast way of directly typing out search queries. The Advanced Search view allows you to construct a detailed search query using drop-down lists that contain all the possible search parameters you can use, as well as a drag-drop interface to group terms of the search query together. This makes the process very easy to use. After restricting your search to PDF files, you can zero in on what you are looking for, searching for metadata–information like when documents were created, the folder they are located in, tags you’ve assigned to them and so on–or for the data itself, like keywords and phrases found in the PDF document. If you have PDF files in your GoldFynch case that are attachments to emails or that were extracted from zip files, they can also be included in these searches as well. If you work with large numbers of related PDFs, you can use GoldFynch’s Tags feature, which allows all ‘tagged’ files to be called by a search query or through the ‘Tags’ view. 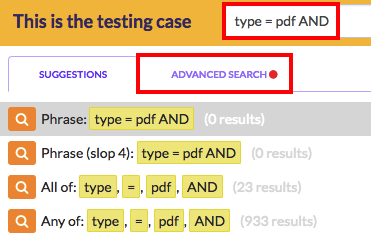 Searching within a tag used for only PDF files–instead of all PDFs in the case–dramatically speeds up searches. GoldFynch also automatically tracks text on hidden layers and indexes it for searches. GoldFynch uses stemming for its search results - words that contain part (the stem) of the specified search word are also included in search results. For example, a search for “closing” finds instances of close, closed, closes, and closely. Step 2. Click on the Create New Search button to create a new search query. Notice there is a warning message in the ‘query preview’ area. This is because we haven’t created a complete search query yet. Step 5. Click on the +Rule button in the top-right corner of the box. You can now set a new parameter for your search. 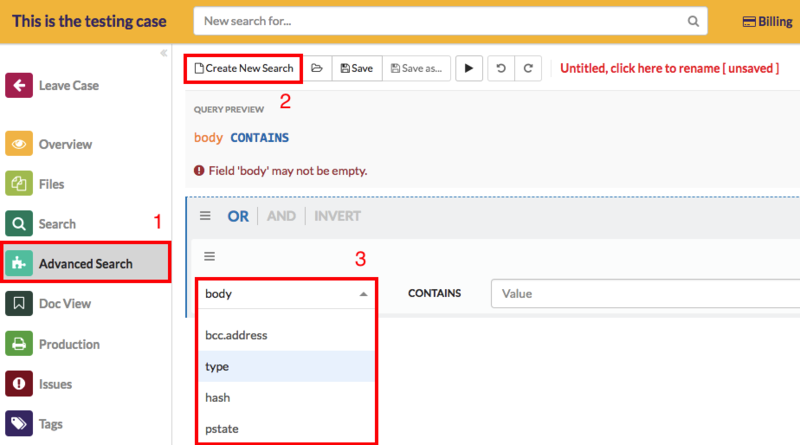 To perform a search using a different parameter, change the “body” parameter, and enter an appropriate value to search for. (e.g. “date = 2018-03-23”) Note: to search for all PDF files in the case, skip this step. Step 6. Click the search execute button to run the search. Note: to search for all PDF files in the case, skip this step. You can repeat this to add more parameters to search against beyond this, linking each segment of the query with the boolean operators AND, OR and NOT, as well as parenthesis “( )” to specify the order of evaluation of terms. After you run a search, the results are displayed, along with their file paths, size, tags assigned to them, etc. A snippet from the document will also be displayed, nested under the names of each document, and if the search included a word or phrase query, occurrences of the word will be highlighted. Regardless of whether you performed a search from the Search bar or the Advanced Search view, you can click on the edit button in the top left corner of your screen next to your search query to be taken to the Advanced Search view from where you can edit your search parameters and values, as well as save your search query.